This entry was posted in Research and tagged Carmelopardalids. Bookmark the permalink. Why “all predictions were off”? You had written on May 13: “I incline to expect a ZHR around 10-ish” – and what I gather from visual reports on the MeteorObs mailing list, this is about what was seen (the IMO Live ZHR plot is still too noisy). Oh, I meant the time — I explained it a bit more in the long post (just got updated). I feel that (without too much data support at the moment — we will be working on the data in the next few weeks) I feel the peak might have arrived a few hours early. I used to incline to a later peak (0700-0730 UT) but now it seems that Paul and I’s prediction seems to be closer to what we see. A dip in activity around 7:00 UTC is also mentioned by the airborne observers of http://meteor.seti.org who already draw wide-ranging conclusions about missing dust trails. But what bothers me more that details of the profile is the report by CMOR – quoted in http://skyweek.wordpress.com/2014/05/24/allgemeines-live-blog-ab-dem-24-mai-2014/#Mai24 – that the “shower was quite strong as seen by the radar but almost exclusively in underdense echoes – it was rich in fainter meteors”: wasn’t an expected preponderance of (very) bright meteors the main new result from your 2013 paper? Good point. 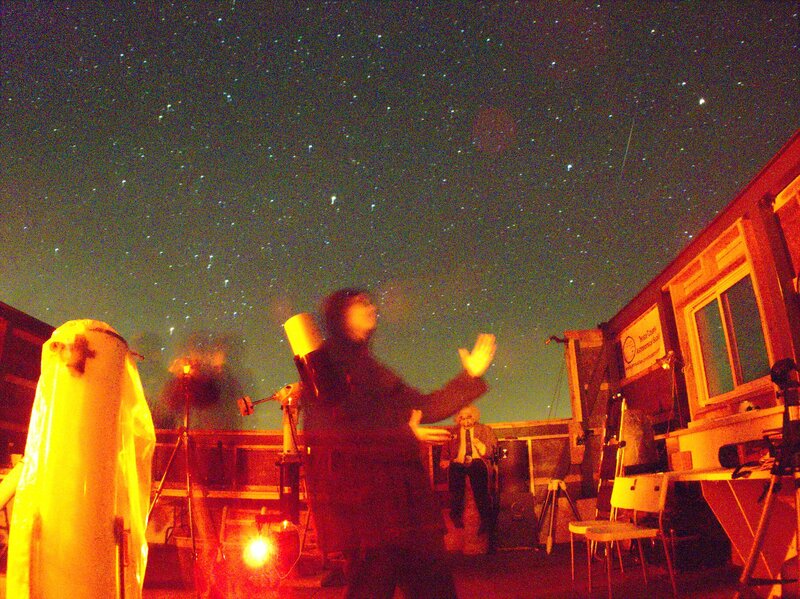 See https://meteormonkey.wordpress.com/2014/05/13/some-thoughts-on-the-forthcoming-camelopardalids-meteor-shower/ the paragraph just above the figure — as I said in that post, I think we should use terms like “relatively bright” meteors, since visual observers will immediately intepret “bright meteors” as “visually bright meteors”. Although the particle size is indeed large, the entry speed is so low that particle at that size will only create visually faint meteors. So I guess we should be grateful that there were some negative magnitude meteors for us. Congratulations Quanzhi I read with excitement in CBET that you and Paul Wiegert radiant position and timing prediction were the closest. Great work. Best wishes.